Chinese New Year 2018 begins on 16th February 2018 and this date will change circumstances for millions of people throughout the year so please read below to make sure that you are completely prepared for what may be ahead of you during 2018. The information on this site for 2018 will help you to be prepared and make informed decisions in 2018 that may affect your well being and endeavors. It is important that you know when and how to avoid bad influences during 2018. Without a doubt, there will be many Rabbits that will be glad to see 2017 coming to an end and they should be glad to hear that 2018 is a lot more promising although I know for a fact that so many Rabbits have enjoyed a successful 2017 and benefited from the 2017 annual advice we gave and also using our annual cures kits and the Master Cure along with the fine-tuning of our powerful Feng Shui Software to get as good a result as possible. As we come into the year of the Dog, we will need some special cures and enhancers in 2018 to make the most of the year. Chinese astrology and western astrology differ a lot from each other. Chinese astrology is used to inform people of what may take place and how you can apply the necessary cures and enhancers to avoid any problems that could potentially arise in your life; Chinese astrology is also about having the information in advance so that you can avoid any of the problems that are predicted. Being able to avoid negative Flying Stars can help you modify your year’s luck in a good way. There will be many websites and other practitioners that will predict all sorts of problems and calamities for a certain animal in any year. What you need to bear in mind that even though there may be problems arising, there are also solutions to problems that can really turn things around for you which is what we have written into each synopsis for 2018 for you. Please take this with a pinch of salt and enjoy a great 2018. You should start to prepare and place your annual cures and enhancers as soon as possible as it really is crucial to get this right. This will set the foundations for a trouble-free year. You could even use our professional Flying Star Feng Shui Software or 2018 Tong Shu Almanac Software which will give you total control on an annual and monthly basis. We have combined our software with our Annual cures kits to give you even more savings this year. Those born in the year of the Dragon may be affected by the conflicting influences of the year of the Yang Earth Dog Wu Xu. In saying this, we hope that those born in the year of the Dragon are aware of potential difficulties they may encounter during the year and take extra care in whatever they do without taking undue risks. The degree of influence varies from one person to another. One of the major considerations is the heavenly stem of the year in which one was born, more on this later. If you were born before February 4th (Spring Begins), use the year before. If it is after February 4th, then use the same birth year. This is worth double-checking; as you would be amazed how many people born in January or February get it wrong. If you are unsure of your Chinese Animal maybe consider using our Feng Shui software that calculates it automatically along with personal Gua, flying stars, annual, fixed and monthly and so much more. 2018 is the 4716h year of the Chinese calendar. In China, the solar calendar of the Wu Xu (Yang Earth Dog) year starts on 4th February 2018 at 05:38 China time. In the UK, the new solar year starts on 3rd February 2018 at 21:38. In Washington USA it will start 3rd February 2018 at 16:38 and if you live in Barcelona you would place your cures at 22:38. The last Wu Xu You Yang Earth Dog years were in 1958, 1898 and 1838, each of the years were unstable with severe clashes of energies and this year very special cures and enhancers are need more than ever and the most influential and crucial cure and enhancer in 2018 is called a Jiebaopinchuan Master Cure and can only to be used in a Yang Earth Dog Wu Xu years. The last time that this powerful cure and enhancer would have been used was in 1958 which was also a Yang Earth Dog year although only a privileged few got to use it. This cure is used to protect and enhance wealth and good luck in 2018, especially for the eldest daughter or female of the home or office if a daughter is not present although equally needed for males especially for wealth. This is one of the most powerful and commanding cure and enhancer for wealth, health, relationships and protection and because this cure is very important for wealth in 2018 we included it standard in all our 2018 cures and enhancers kits. If you follow this link you will find full details 2018 flying star analysis follow this link. Romance, academic and creative studies can be enhanced in the southeast (#4 star) and south (#8 star) of your home. Whilst this #4 star is very auspicious, without the necessary cures, the #4 star can bring both wanted and unwanted romantic opportunities to the household if the correct cures are not put in place especially if you have a main entrance or an important room like a master bedroom or living room. The southeast has a powerful #4 romance star although this can be troublesome if cures are not placed and this is caused by the #4 clashing with Sui Po in the southeast palace in 2018 and this area of a home or office needs a very special Talisman to counterbalance the #4 Annual star meeting Sui Po in the same palace. To enhance romance and career in 2018, place a Taohua Mandarin Ducks along with the Shou Kun Qi Fu picture frame in the south of your home or business, you should also introduce some water colours like shades of blue, black, grey and you can introduce these colours with a doormat, rug, cushion cover, sofa throw, curtains or similar, it really is very easy to do. Make sure you follow the 2018 Flying Star (Xuan Kong) recommendations. If your office or bedroom is located in the south, please be aware that in the months of June and September 2018 you should make sure you at least place a Six Chinese i-ching coins In a row tied in a row with red ribbon for these months especially if you are not in good health or very stressed and especially for the eldest male or any male of a home or business. If you have a bedroom located in the southeast, place Six Chinese i-ching coins In a row during the months of April and November. It is important that you try not to make any form of noisy renovations or re-decorative work in the north part of your house or office between February 4th 2018 and February 3rd 2019. You should not disturb the ground by digging holes, digging foundations or conduct any maintenance work with any noisy equipment in this area inside or outside your property or garden. If you have no option but to perform work in the north, I would advise that you place a 6 Metal rod wind chime in the north in 2018 around the time the work is being carried out. This is the worst out of all the annual afflictions and in our home and business, we take this very seriously as in our 37 years’ experience with Feng Shui we have seen some pretty nasty events from this energy when disturbed. There are also another two other rules that you should follow regarding the Three Killings in 2018. Firstly, if you are moving your desk around this year, never sit with your back towards the south, it is better to face north instead. If the front door of your home or office faces the north in 2018, you should take care as to not slam the door as the Three Killings can be a lot more settled if the door is opened and shut calmly; this also applies to internal doors and definitely the case if the north of your home is a children’s bedroom or playroom. The best cures for the north in 2018 are to place a six rod hollow metal wind chime along with a salt water cure and six Chinese i-ching coins in a row from the 4th February 2018 to the 4th February 2019. The 6 metal rod wind chime should be tapped often to make the chimes jingle and will not activate the three killings for 2018 as this is only a slight noise. You can also place a pair of Fu Dogs or a Ba Gua Mirror here if you have a door located here. If you need to urgently carry out repairs to your home or office in the north during the year of the Yang Earth Dog, you should place a six hollow metal rod wind chime between the buildings and where the work is being carried out and ideally you should contact a professional Feng Shui Consultant to select an auspicious date to start the work or you can use our Tong Shu software. Like the Three Killings, Tai Sui does not like to be disturbed either. The effects of Tai Sui can be good or bad depending on the annual flying stars that coincide with its location and in 2018, we also have the #3 visiting star in the northwest which can cause problems for the middle son and it could affect ears, kidneys or blood-related. The traditional Chinese method to appease Tai Sui is to place a Jiang Wu Tai Sui gold plated plaque for 2018 to pay respect and appease the Deity along with an Arowana fish sitting on bed of coins to enhance the annual #1 star. This is really important this year and we have included the Arowana fish sitting on bed of coins and Jiang Wu Tai Sui gold plated plaque in all our annual cures and enhancers kits. The year will be mixed and busy with opportunities opening in the workplace which will improve income and lifestyle both immediate and in the future. The chance of travel is also on the horizon for the Rat who has any business connections away from home base. If the Rat is to gain maximum profit from these opportunities, he will benefit from acknowledging his propensity to become distracted and placing his energies into other projects or schemes that will not eventuate. Recognising this trait and avoiding the pull to become distracted, will help him to remain disciplined and be able to focus on the task at hand. The Rat is a gregarious creature with an abundance of friends and has an exceptional ability to work well with others. This trait brings him respect from his workmates as he demonstrates his keenness to work as a positive team member. With his many social and work connections, the Rat will have much advice and support on hand. If there are opportunities for growth or promotion, others will jump in with encouragement and a kind word in the right places. Regular communication with contacts, including employment specialists, will be beneficial to discuss any desires for work experience growth or change. The Rats efforts during the year of the Dog should increase income. There will also be opportunities for income growth by turning a hobby into profit or additional work. The Rat’s keen eye needs to be especially alert if entering into any significant transactions, or something that has a risk element to it such as investments. Remaining vigilant, reading documents thoroughly and asking for advice, will prevent any unexpected financial losses. The year of the Dog will be a busy one for the Rat, and he must be careful not to neglect his relationships and personal life. It will be easy for the Rat to get so caught up with demands placed upon him that he may retreat from those closest to him. This oversight could result in tension and disharmony. Regular communication, and sharing any concerns with those close to him, will bring support and caring advice which will help maintain harmony and peace. Your lucky sectors: (astrological zone) is the North (352.5º – 7.5º) of the home or office. 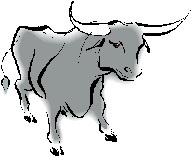 There will be much to achieve and accomplish during the year, and the strength and perseverance characteristics of the Ox will help see him through any challenges. The Ox will have much to gain by applying his usual tenacity to projects. The Dog year will be a demanding one, and the Ox could find additional expectations placed on him which could increase workload. Once again, the Ox will discover new abilities and strengths by taking on any new demands. He will enjoy the benefits from his efforts in upcoming years. The Dog year will not be the best year for work change. If the Ox is determined to change employment, then he will need to be prepared to work hard. The Ox can maximise a positive outcome by keeping an open mind when job hunting as he may find himself in an entirely new, unexpected position. He may even commence training for something new, and this will be an opportunity for the Ox to develop further skills and expand his work associate circle. If work is a priority this year April, May, September and November will be the ideal months. Many Oxen will enjoy an increase in income during the year of the Dog. However, this is not the time to overspend or be frivolous. The Ox will need to budget wisely and most especially if he plans to make any significant purchases, participate in the share market, consider home renovations or travel. The Ox is by nature a methodical creature, and this will serve him well when it comes to any financial papers including Tax Returns. Home-life is very important to the Ox and the year of the Dog will be an active one. The organisational skills of the Ox will be called upon and appreciated, especially with regards to travel arrangements for a special family holiday. The Year of the Dog will also find many Oxen enjoying a new relationship and settle down. 2018, however, is not the best time to plan or have a baby, so consider waiting a couple of years. Plan the arrival of your new baby for the year of the Rat which will be a perfect time. If planning a wedding then March, April, May, and September will be an excellent time. Although some Oxen are not fans of travel, there will be opportunities to visit and explore various countries both near and far. The break in routine will bring many benefits to the Ox, and he will feel inspired with increased creativity. There may also be occasions to travel for work which could cause some frustration. Your lucky sectors: (astrological zone) is the Northeast (22.5º – 37.5º) of the home or office. The Tiger has been working hard and gained much credibility over the past few years, and this hasn’t gone unnoticed by his peers and employers who will be recommending and considering him for advancement within the company. It will be to the Tiger’s benefit if he shows enthusiasm to take on additional responsibilities and remain alert to opportunities that arise. Tigers on the lookout for employment will find success during the year of the Dog. A new position could well form the foundation for future growth and development while remaining flexible with an open-mind will deliver best results and opportunities. Learning new skills, re-training or advancing knowledge via courses is also possible and advised for future successes. Although finances are looking promising during the year of the Dog, The Tiger has a habit of being a spendthrift and will need to pay attention to monies coming in and out. Avoid financial stress during the year and stick to a budget. Home life will be rewarding and pleasurable for the Tiger during the year of the Dog. He’ll benefit by communicating any ideas, feelings or concerns with those closest him. The Tiger will appreciate support, encouragement and any advice offered. Romance features quite strongly for some Tigers during the year of the Dog and marriage could well be on the cards. For the committed Tiger, there will be many satisfactory occasions, and you will enjoy times spent with your partner. Your lucky sector: (astrological zone) is the Northeast (52.5º – 67.5º) of the home or office. The Rabbit has worked hard to build up his reputation and credibility with his employer and those wanting to remain in their present position may find new opportunities, including promotion coming their way. Any Rabbits wishing for a change in work situation should make the initiative in 2018. A change in employment could prove very beneficial both in the immediate and future. The Dog year will reward those who are enterprising, determined and, more importantly, take action. Keep an eye open for opportunities, vacancies or anything that spikes an interest and seek advice also from employment agencies. Don’t be afraid to ask for assistance Rabbit. Most favourable months for anything work-related are March, May, June, and September. ‘Action’ is the keyword for the year of the Dog. The Rabbit’s finances are looking very promising during the year of the Dog. His work ethic and efforts will increase his income, and maybe even a bonus or gift will come his way. There is also the possibility of the Rabbit enjoying additional income through cultivating and tapping into a particular skill they possess. The increase in revenue will enable the Rabbit to enjoy travel and any plans he may have to redesign or renovate his home. The Rabbit enjoys the finer things in life, and his home surroundings are essential for his peace of mind and equilibrium. The Rabbit will enjoy and appreciate his home and family life during the year of the Dog. There is also the possibility of some momentous occasions to celebrate such as a wedding or graduation, and the Rabbit will gain much pleasure from this. Maintaining a close bond with his loved ones is also essential to the wellbeing of the Rabbit so he will need to remember to share his thoughts, feelings, and ideas with those closest to him. He will benefit from their input and strengthen bonds. Making an effort to socialise more will bring enormous pleasure to the Rabbit and widen his circle of friends. For the single Rabbit, there is the possibility of connecting with someone special, and some may decide to settle down with their partner to develop their relationship. March, June through to August and November will be favourable months for socialising and making new friends. The Dragon who has been in a work situation, either short or long term, will benefit from grasping opportunities to further his knowledge or improve skillset throughout the year. He will maximise the results by learning a new skill that he may not need at the present moment but something he can draw on in the future. For the Dragon who wishes for employment change, the year of the Dog will open doors for an intriguing work opportunity. Be attentive to any suggestions from friends or work colleagues, about possible vacancies that may appeal. The year of the Dog rewards those who take action, move forward and don’t hesitate for too long when opportunities come by, and the Dragon may find that a new direction will lead to further paths of growth and development. Planning and budgeting will be crucial during the year of the Dog. It is not a favourable year for risk-taking. If presented with any paperwork then the Dragon needs to remain vigilant, read the fine print thoroughly and question any matters that aren’t clear to him. The Dragon may feel overloaded at times during 2018, and he may find himself feeling overwhelmed and pressured leaving little patience for loved ones. Avoid disharmony within the family environment by communicating concerns, thoughts or feelings with loved ones. The outgoing, and energetic, Dragon’s social life is looking very promising during the year. There will be many opportunities to connect with new people through his travel experiences, and also from participating in local activities. The Dragon will need to pay attention to his health and wellness during the year, especially if experiencing ongoing tiredness or general lack of energy or motivation. The Dog year is a perfect time to reevaluate diet, exercise and rest habits. Don’t be afraid, Dragon, to seek advice on how to bring balance into your lifestyle to avoid burning out. Your lucky sector: (astrological zone) is the Southeast (112.5º – 127.5º) of the home or office. The year of the Yang Earth Dog is looking extremely promising for the highly intelligent Snake. There will be opportunities laid out in front of him for promotion or new responsibilities, but the Snake will need to be bold and step forward. If there are particular areas, the Snake wishes to explore he would be advised to make enquires. Recognition, credibility, and success will fall on those Snakes who have been working long-term on projects. Favourable months for work are February through to April, September, and November. Just remember Snake, for progress during the year of the Dog you must take action. Another favourable aspect during the year of the Dog will be many Snakes enjoying an increase in their income. There may also be opportunities to make residual income from an idea the Snake is ready to launch. However, the snake will need to budget and implement smart money managing techniques. Implementing a savings plan during the Dog year will also deliver future security. Ultimately, with proper money management, the Snake will enjoy a much-improved financial position. The Snake will spend many pleasurable times with his family including a celebration at some point during the year. His loved ones will be incredibly supportive and always on hand for any advice or help the Snake may need throughout the year. The year will be busy for the Snake, but he will enjoy a more than content and rewarding home life if he makes time for his family. To ensure balance, harmony, and well-being, the Snake will also need to make time for friends and social activities. He will receive invites to events, and the Snake will fair best by accepting and nurturing the connection to his friends. There is also the chance of some Snakes developing a meaningful and satisfying friendship with the possibility of romance. The most favourable times for social activities are February, May, July and September. Your lucky sector: (astrological zone) is the Southeast (142.5º – 157.5º) of the home or office. 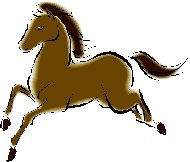 The Horse can look forward to an auspicious year as far as work is concerned. Many will find that they’ll be propelled forward as the year progresses with his efforts and initiative acknowledged and recognised by his work colleagues. Any attempts to go that extra mile will not go unnoticed or be wasteful. The Horse is by nature fiercely independent and prefers to work alone and be answerable to only himself. However, to succeed in the year of the Dog, the Horse will be required to be a part of a team and make an effort to get to know his colleagues. He is a likable, considerate being so making a little more effort to work alongside others won’t be too tricky for the Horse and workmates. Building his reputation during this year will be highly beneficial for him in future years. There are also excellent possibilities for advancement, new responsibilities, and significant promotion for Horse’s who are content in their present work situation. For those Horse’s looking for a change of employment, they will find some intriguing possibilities. Liaising with work colleagues, friends and personnel or human resource organisations will benefit the Horse immensely in his search. Financially this will be a positive year for the Horse, and many will find a very pleasant increase in income along with some additional money from either overtime or other work. Some Horses may have some substantial outgoings from projects they’re engaged in so planning and budgeting will reduce any stresses associated with increased costs. The Horse will enjoy and value his home life during the year of the Dog. Communication with loved ones will be valuable to help his understanding of any matters that concern him, and a fresh perspective will be beneficial in so many ways. Re-locating the home is also a possibility for some Horses. Events will happen very quickly, and the move could prove a little challenging at times with the Horse questioning his motives and decision. The year of the Dog is a perfect time for completing projects with his family, and in the long run, the Horse will be delighted with his new home and happy he made an effort. For the single Horse, there will be opportunities to make new friends and even start a new relationship that could very quickly turn into romance. This new love interest could lead to settling down, becoming engaged or getting married. Your lucky sector: (astrological zone) is the South (172.5º – 187.5º) of the home or office. There will be many attractive opportunities for the Goat to further his knowledge to improve any skills and doing so will increase his chances of promotion or advancement at work. Any challenges or pressures he encounters during the year will only benefit him by strengthening his character and leading him to new opportunities. 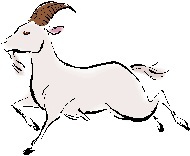 The Goat likes to work in a team and alongside others and maintaining close and communicating regularly with work colleagues will help ease the Goat through any pressures. He will value and appreciate any support and advice given especially from more experienced colleagues. The Goat who wishes to move to another employment will fare better by utilising his existing skills rather than step out and learn something new. For higher chances and successes over his competitors, the Goat will manage well if he meticulously prepares for interviews. Many gains will be made long-term by the Goat who remains consistent and focused. Most favourable months for work opportunities are April, June, October, and November. Although the Goat is not particularly materialistic, he does have a habit of spending his money as it comes in. However, he will need to pay extra attention to his finances during the year of the Dog and aim to curb his spending habits. Making time to prepare a budget and remain disciplined will help him control his outgoings. It will also be vital for the Goat to check terms and conditions in any documents that involve an expensive commitment. The Goat always values his home life, and with the possible additional pressures during the year it will be beneficial for the Goat to be open about any frustrations, feelings or concerns he may have. Regular communication will enable his loved ones to have some empathy and understanding, and he will appreciate and value their support. The Goat will enjoy some pleasurable social occasions during the year of the Dog. He will, however, need to be mindful of how he interacts with his friends and may experience a lapse in self-awareness which could result in an indiscreet comment upsetting a close friend. Your lucky sector: (astrological zone) is the Southwest (202.5º – 217.5º) of the home or office. 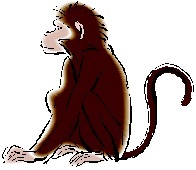 The Monkey’s ability to be resourceful will serve him well during the year, and as long as he’s willing to adapt, there could be some exciting new developments in the workplace which will offer opportunities for progress. It will be vital for the Monkey to maintain close communication with his work colleagues so that he’s informed when an opportunity arises. Doing so will result in significant progress throughout the year. Appealing opportunities also await the Monkey who’s eager to find new employment. However, the multi-talented Monkey will fare well by keeping an open mind and consider other types of occupation to utilise their skills. They may find that this will propel them in a new and exciting direction. The year of the Dog will bring great rewards as far as work is concerned, but financially the Monkey will need to be vigilant and if he is considering any large purchases with accompanying legal paperwork, he must ensure that all paperwork is thoroughly checked and preferably by a professional. Be aware Monkey that the Dog year is not a year for financial risks. To ensure that the Monkey doesn’t make any hasty decisions, he will benefit by paying attention, listen to his family and understand that every piece of advice, or caution, they give him is for his best interests only. Ultimately, he will appreciate their encouragement, advice, and support. The Monkey will enjoy his home life and family activities immensely during the year of the Dog. The year of the Dog will also include a very pleasurable social life for the Monkey. However, to avoid upsets or misunderstandings, the mischievous Monkey should be warned not to get too carried away with his antics. He could also enjoy an increase in invitations with regards his interests or even work. As the Dog year progresses, the Monkey, who is in a new relationship, could find his feelings deepening and the relationship moving forward. The single Monkey will have opportunities to meet a new love. Your lucky sector: (astrological zone) is the Southwest (232.5º – 247.5º) of the home or office. 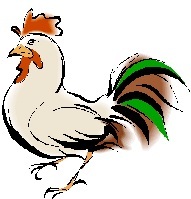 The Rooster will achieve more significant results for the year if he accepts that the year of the Dog is not the year for reaching his work goals. If he approaches the year with the mindset that he will best be served by improving his knowledge, skills and gain more experience, then it will be this that will propel him forward in upcoming years. Many Rooster will have taken a new direction in 2017 and 2018 is the perfect year to embrace their new position, improve their skills and learn as much as they can about their new role. Don’t forget, Rooster, to connect and communicate with work colleagues. Showcase your talents, and you’ll appreciate their help and support. The Rooster is, by nature, a thorough and meticulous being but the year of the Dog will be challenging for him and extremely busy. As a result, he may find that he could miss essential matters and his usual high standards may fall. When the pressure builds Rooster, try to take the time-out, meditate or take regular short naps to break up your day. These respites will enable you to approach any stressful matters with a deeper sense of ease and bring you back in control of the situation. Flexibility is called for again this year if the Rooster wishes to change his employment. Try to think outside of your usual occupation and consider any position. The Rooster may come across some stiff competition so before dismissing an opportunity scrutinize it and try to see the advantages. As with most signs during this year of the Dog, effective money management will be necessary. The Rooster could find it an expensive year, so endeavour to compare prices, especially when purchasing high-end products or entering into an agreement. The Rooster will also need to read thoroughly any documentation regarding an expensive purchase. Plan your budget Rooster, and you’ll reduce any stress regarding finances. If the Rooster plans any home projects, such improvements or renovations, then it will be critical to remain flexible with deadlines and to be realistic with completing projects by a fixed time. The year of the Dog will be hectic for the Rooster, and he won’t fare well if he places too much pressure on himself to have completion by a set date. A busy, pleasurable social life is also on the agenda for the gregarious Rooster during the year of the Dog. He will enjoy many invitations and be able to showcase his fabulous conversational skills. However, the Rooster can be tactless if he has the opportunity and this year he will need to be on guard and be mindful of saying something that he may regret later. Favourable and active months for social activity will be April, June, July, and November. The Rooster will enjoy time away and would benefit by organising a holiday at some point during the year. This vacation would be an opportunity to meet and connect with others. There will be some excellent opportunities to progress at work including promotions. If the Dog feels the urge to change employment, then this too is looking promising. He mustn’t allow any rejections to set him back as this will mean something more suitable awaits him. Due to the Dogs successes and advancement in his work situation, he will enjoy an increase in income with some Dogs receiving additional revenue from a new venture or extra work. A healthier bank account will mean that many Dogs will decide to start some home projects, book a holiday or pursue an interest. 2018 will be a perfect time for the Dog to look carefully at his outgoings, set up a budget and, if he isn’t already, start to save for future security. The Dog can look forward to a busy home life during 2018, and they will bring to fruition any long-held plans to dive into home improvements or even move. Careful planning and budgeting as well as not rushing to get the job completed will bring much pleasure and satisfaction for the Dog. Purchasing a new home could feel challenging and time-consuming, but the results will be worth it. The 2018 year of the Yang Earth Dog will herald the start of a new, grand era for the Dog. 2018 will be an active year socially for the Dog. He will enjoy making new contacts and form some strong, long-lasting friendships. Many single Dogs can look forward to a new romance and be able to leave behind any past disappointments; it will be time to enjoy a fresh start. Your lucky sector: (astrological zone) is the Northwest (292.5º – 307.5º) of the home or office. The year of the Dog is the perfect year for the Pig to consider furthering his knowledge and skills. If he remains alert to any courses or training that are made available to him and relevant to his work, then signing up and dedicating time to study will bring fantastic opportunities for progress and rewards in upcoming years. The Dog year will be a good year for change for any Pigs keen to move on from their current position. Making an effort to investigate work opportunities, and staying committed to making a move, will bring very satisfactory and pleasing results for the Pig. He will find that the pace will pick up towards the end of the year and in the following Pig year of 2019. In some cases, the soft and open-hearted Pig may find that applications or interviews will not go the way he anticipated which could leave him feeling sad and defeated. However, if he looks logically and carefully into the possible reasons, such as lack of a particular skill or displaying the wrong attitude, then the Pig will gain some insight and become a little more enlightened which will serve him well in the future. Favourable months for work progress and opportunities are late February, March, and October through to early December. There is a definite upsurge of possible opportunities in the second half of the year. The year of the Dog will be an encouraging year regarding the Pig’s finances. He enjoys the more exceptional things in life including good food, luxuries and holidays and can very quickly spend his earnings. The Pig can also look forward to additional monies flowing in throughout the year from either a gift or from extra work opportunities. Although he likes to spend and enjoy his money the Pig is also very financially savvy and will invest, increase his savings or even pay off a loan. The Pig should avoid rushing in or being hasty if purchasing a large or expensive item. He will benefit from exploring other options before making a decision. The Pig can look forward to a very pleasurable home-life in the year of the Dog. There may be moments of discord within the family unit, but the Pig will draw on his peacemaker skills and readily diffuse any situation before it gets out of hand. He will also enjoy organising special occasions and treats for the family which will be much appreciated and make many happy memories. The Pig is a popular and sociable being, and he can look forward to an entertaining year of the Dog including time set aside for his recreational interests and spending time with friends. It will be beneficial for the Pig to set time aside for his hobbies which will help to keep his life in balance and enable him to relax and recoup his energy. Your lucky sector: (astrological zone) is the Northwest (322.5º – 337.5º) of the home or office.